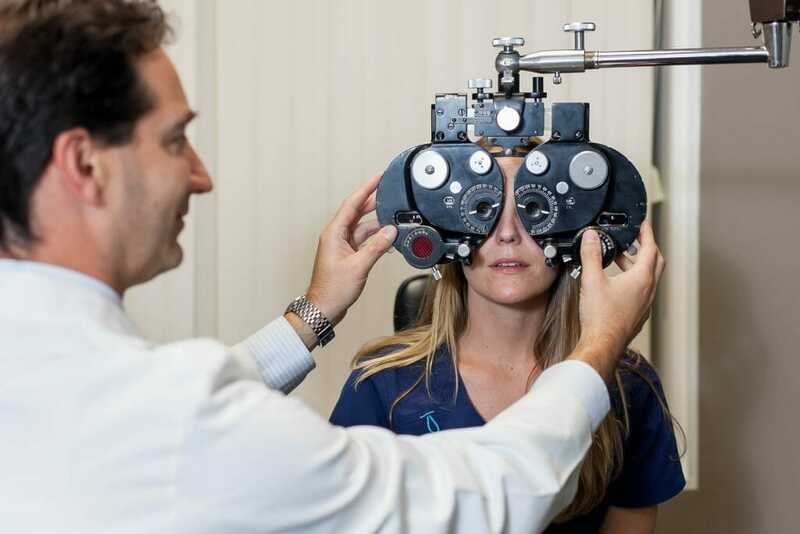 One of the best things that our patients can do for their eye health and vision is to visit us at Northern Ophthalmic Associates for regular eye examinations. These exams are crucial to catching any problems in their early stages, when they are more easily treated. After meeting you and learning more about you, our ophthalmologists will recommend how often you should schedule exams, depending on your specific vision needs, age, family history and other risk factors. Regular eye exams are important because they provide a complete understanding of visual acuity and eye health. Sometimes these exams can also offer clues to conditions that affect overall health as well. During an exam, vision is carefully evaluated for any refractive errors, like nearsightedness, farsightedness or astigmatism. Another prominent part of eye exams is checking the eye for signs of disease and other problems. Many serious eye problems, like glaucoma and cataracts, are asymptomatic in their early stages, and only an experienced ophthalmologist can detect them. Problems caught in their early stages are more easily (and inexpensively) treated. Who Should Have Eye Exams? Eye exams are valuable at any age. Our increasing reliance on technological tools like computers and cell phones can lead to conditions like digital eyestrain. Exams are a prime opportunity to find solutions to those kinds of problems. Eye exams are especially critical in school-aged children, as proper vision is essential to the learning process and academic performance. Children that have trouble seeing in the classroom may not be able to properly communicate those problems to a parent or teacher. However, an eye exam can help pick up on these problems and address them quickly. Eye exams are also recommended to patients over the age of 40, who are at a higher risk of developing age-related eye problems like presbyopia, glaucoma, cataracts and macular degeneration. There is a big difference between a vision screening and an eye exam. Usually performed by a volunteer, vision screenings are very short and limited in scope. They involve reading a vision chart from across a room. No other diagnostic or testing instruments are included in the process. While a vision screening can help detect nearsightedness, it doesn’t detect farsightedness or more complex vision problems. Subtle vision problems are often missed. Vision screenings also don’t provide any information about the underlying health of the eye, or take into account eye health history. In an eye exam, vision screening is just one piece of a longer and more comprehensive process. The entire eye health history (including medications and previous surgeries) is considered and a complete exam is performed. 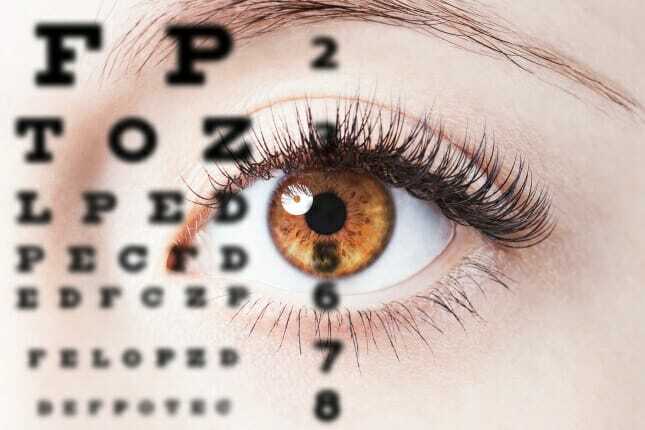 An exam is conducted by an optometrist or ophthalmologist; both have the training and experience required to understand the intricate anatomy and behavior of the eyes. Optometrists and ophthalmologists are able to identify signs of diseases like cataracts, glaucoma and macular degeneration. They can also detect subtle signs in the structures of the eye that could indicate systemic health problems, like diabetes and blood pressure problems. During an eye exam, the doctor will inquire about your overall health and your eye health. You will be asked to describe any visual symptoms you are experiencing or medications you are taking. You may also need to answer questions about your lifestyle and any family history of eye problems. Your visual acuity will be measured. Other tests may be performed to evaluate how your eyes work together and your depth perception, eye movement, color vision, peripheral vision and your pupils’ response to light. If you currently wear glasses or contact lenses for a refractive error, the doctor will perform refraction testing to identify your specific prescription. The curvature of your cornea may be measured. A slit lamp microscope may be used to look at the structures of your eye, including your retina and optic nerve. This can reveal problems like diabetic retinopathy, cataracts and macular degeneration. Your pupils may be dilated for a more thorough evaluation of the insides of your eyes. If this is the case, you may need to arrange to have someone else drive you home. If you are at risk of glaucoma, the pressure inside your eyes (i.e., intraocular pressure) will be measured. Other tests may be performed as needed, depending on your ocular health and specific visual needs. To stay on top of your eye health, schedule a comprehensive eye exam with our team. Call or email us today to make your appointment.